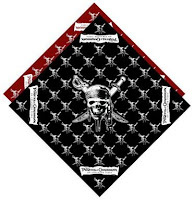 Yo Ho, Yo Ho…..you know what that means! 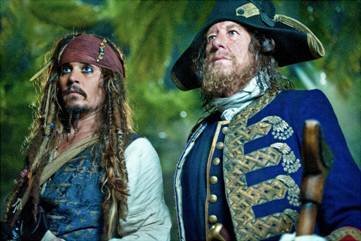 Captain Jack is back and PIRATES OF THE CARIBBEAN: ON STRANGER TIDES sails into theaters everywhere on May 20th! Johnny Depp returns to his iconic role of Captain Jack Sparrow in an action-packed adventure. Crossing paths with the enigmatic Angelica (Penélope Cruz), he’s not sure if it’s love—or if she’s a ruthless con artist who’s using him to find the fabled Fountain of Youth. 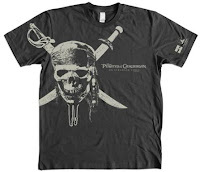 When she forces him aboard the “Queen Anne’s Revenge,” the ship of the legendary pirate Blackbeard (Ian McShane), Jack finds himself on an unexpected adventure in which he doesn’t know whom to fear more: Blackbeard or Angelica, with whom he shares a mysterious past. The international cast includes franchise vets Geoffrey Rush as the vengeful Captain Hector Barbossa and Kevin R. McNally as Captain Jack’s longtime comrade Joshamee Gibbs, plus Sam Claflin as a stalwart missionary and Astrid Bergès-Frisbey as a mysterious mermaid. Win it: This giveaway will end May 20th at 10 PM EST. The winner will have 48 hours to respond to my email. If no response, a new winner will be chosen. Open to residents of the US and Canada. Mandatory Entry: (Mandatory entry must be completed first or bonus entries don't count.) *Do you plan to see this movie while it's in the theaters? Disclosure: Thanks to PR Firm/sponsor I was provided with the opportunity to host this giveaway. This blog post is not a paid post and the honest opinions stated are my own. Yes, I'm going to see this movie in theaters!! I wish, but no, we rarely get to the theater for movies. I'll most likely have to wait 'til it's on DVD. I like you on Facebook (Amanda Kenworthy). Following on Networked Blogs (Amanda Kenworthy). I included your giveaway on my linky. My grandson is just getting mature enough to start watching the Pirates movies, so we probably not see this in theaters but wait until it's on DVD, in case it's too intense. We don't see many movies in the theater because of two small kids, maybe we'll make an exception for this one! We are going to Disney in June - this ride is one of our favorites! Yes, absolutely! I really want to go the day it opens! Follow on GFC as Michelle S.
I don't go to the theaters much so probably not but I will watch it on Pay Per View or on DVD for sure. We will definitely see this movie in the theater, my daughter wouldn't let me miss it! Yes we plan on seeing it. My hubby was just asking me if we could go this weekend. Yes, we're planning to watch this movie. yes! won't miss this movie for anything! ~Yes, we're planning to watch the movie this weekend. yes, I plan on going with my kids! No because the movie tickets are really expensive now days. I remember when it was only $4.00. I'm just going to wait until it comes out on DVD or on netflix. Nope, we'll wait for the DVD. Thanks! I don't, but I am sure my kids will. I won't see it in the theater because I don't enjoy going to the theater. 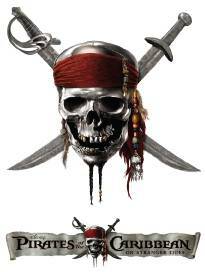 FB fan ~ Lisa R. P.
NB follower ~ Lisa R. P.
I do plan to see the movie -- love Jack Sparrow! I was thinking about a movie date this weekend. I'd love to this movie!! Hubby likes it too! Honestly, I'll probably wait until it's on DVD since I have two little ones and getting a sitter is such a hassle! Thanks for the chance to win! I probably won't see this in theaters, but my teenage daughters plan to see it. I will definitely be seeing this movie! Yes we plan on seeing the movie in theaters! My kids can't wait! Thanks for the giveaway!